WordPress Conversion Service provides a Joomla to WordPress conversion service that includes all content, images, users, and any existing plugins and features. We obviously also convert the look and feel – by hand. We offer an affordable solution to move from Joomla to WordPress – that is professionally hand coded and completed by a US based WordPress consultancy. 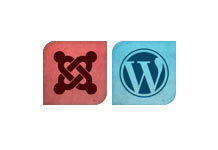 Contact us today for more information about our Joomla to WordPress conversion services.